Only January 3rd but we already have at least 2 LOD Deaths. One, that horrible incident in Ohio where the female Police Officer was murdered in cold blood while investigating a crme scene. And one of her colleagues was shot while returning fire also at the same scene. And another Officer was killed in a radio car accident, I believe it was in Texas. Not a good start for 2011. RIP to the two Officers. This happened on January 1 in our State. I took this off of facebook, which is being passed around to all local and state agencies here in Ohio. Deputy Suzanne Hopper, 40, was shot and killed in a cold-blooded ambush execution of a Police Officer. At approximately 1125 hrs, Deputies responded to a complaint of gunshots being heard in a mobile home community. After speaking with residents, Deputy Hopper began taking photographs of a footprint when someone from inside one of the homes shot our Sister. She did not even have a chance to draw her weapon. She took a shotgun blast to her face. As many Officers from the area arrived on the scene, they were met with a rally of gunfire. An Officer from the German Township PD, Patrolman Jeremy Blum, was shot in the arm while trying to save our downed Warrior. Both Deputy Hopper and Officer Blum were transported to the hospital while several agencies responded to set perimeter and a stand-off/barricade ensued. Another gunfight broke out and the POS Cop Killer was killed. Our Sister succumbed to her wounds a short time after arrival to the ER. Officer Blum is in fair/stable condition. Jeremy, a part-time Officer was to be promoted to full-time on Sunday. Just occurred this morning in neighboring Pinellas County (St. Petersburg, FL), two St. Pete PD officers were shot and killed and one US Marshal shot and wounded, while trying to get information on a suspect wanted for Aggravated Battery warrant. It was not expected that the suspect was present when they approached the house to talk to the female resident. The suspect went up in the attic and the shoot-out ensued from there. They have not yet released the names of the officers at this time and the suspect is still inside the residence that they are about to tear the house down around him. OMG... LOD deaths are always tragic. For there to have been four in the last couple days just in Florida is chilling. Our hearts go out to the families of the officers and the FL Departments' family in Blue. Solemn, silent salutes, brave officers. This is on the news all over the country this morning. Along with all of the other shootings and murders and other LOD Deaths this past week. Unfortunately, 2011 is getting off to a horrible start for law enforcement. And Dale, I know there was some other kind of incident in your area in the last day or so if Im not mistaken. To everyone out there, PLEASE BE SAFE AND CAREFUL. WEAR YOUR VESTS. Thirteen police officers have been shot in the United States since Thursday. ¶ Clark County (OH) Sheriff's Deputy Suzanne Hopper was shot and killed while responding to a disturbance call at a mobile home park on New Year's Day. ¶ Fort Bend County (TX) Deputy Sheriff John Norsworthy, on January 4, 2011, from injuries sustained in an auto accident December 27, 2010 while en route to backup another officer on a traffic stop. His patrol car left the roadway and struck a tree. And he was trapped in his vehicle for almost an hour before rescue crews could free him. He was flown to a hospital in Houston where he remained until succumbing to his injuries. ¶ Rainier (OR) Police Chief Ralph Painter was killed by a fatal gunshot wound to the head on January 5, 2011 while responding to a call reporting a car theft at a strip mall. ¶ Baltimore City (MD) Police Officer William H. Torbit, Jr., responding in plain clothes to an altercation outside a night club on January 9, 2011, was accidentally and fatally shot by another officer arriving at the scene. ¶ Davie (FL) Police Officer Rogerio Morales suffered a heart attack on January 10, 2011 while participating in tryouts for his agency's SWAT team. He was transported to a local hospital where he remained in a coma until passing away three days later on January 13. ¶ Lakewood (NJ) Patrolman Christopher Matlosz was shot and killed as he approached a suspect while patrolling a residential area on January 14, 2011. ¶ Dallas (TX) Officer Kevin Marceau died as the result of injuries sustained on November 13, 1996, when he was struck by a vehicle while chasing a hit-and-run suspect. He was rushed to a nearby hospital where he remained in a coma for several weeks due to severe head injuries. He remained in a wheelchair and unable to communicate until passing away from complications from the injuries on January 14, 2011. ¶ Livonia (MI) Officer Larry Nehasil was fatally wounded by a burglary suspect during a shootout on January 17, 2011. ¶ Columbus (OH) Police Officer Tom Hayes, on January 20, 2011, from complications resulting from a gunshot in the line of duty 31 years ago. The New York Times article notes that, already this year, 10 police officers have been killed in the line of duty. In 2010, 61 federal, state and local officers were killed by gunfire, a 24% increase from 2009, when 49 were killed in the line of duty. In fact the line of duty deaths so far this year, according to the Office Down Memorial Page, total 14, ten of which were the result of gunshots, two from auto accidents, one from a heart attack and one from complications related to injuries suffered 14 years ago, when struck by a car, from which the officer never recovered. The ten resulting from gunfire include the friendly fire shooting of P.O. Torbit in Baltimore and the death of P.O. Hayes related to complications from his 31 year old injury. And while the NYT relates the number and percentage increases in LOD deaths attributable to gunfire, between 2009 and 2010, it does not reflect the total LOD statistics which show 162 deaths in 2010 vs 117 in 2009 – a 38.5% increase. Thank you, Burner. Thank you for the search to list and honor all those who have fallen recently in the line of duty. These are truly frightful and dangerous times. To all those who are out there in harm's way... wear your vests. We HONOR your service and we need ALL our brave officers to be safe. Well here it is 30 days after two St. Petersburg P.D. Officers get shot and killed by a POS hiding in an attic because of an arrest warrant, last night at 2230, another St. Pete P.D. Officer, David Crawford, veteran of 25 years, was shot and killed while on a suspicious person call. The door to door and vehicle to vehicle search still continues to this moment, but the unknown suspect is still at large. 3 Officers in 30 days. Not very good statistics to be reporting about. It used to be a long standing joke that Miami was where the old folks went to retire and their parents would go St. Petersburg. It's not a sleepy little town anymore. Another tragedy for St. Petersburg PD after just about a month. 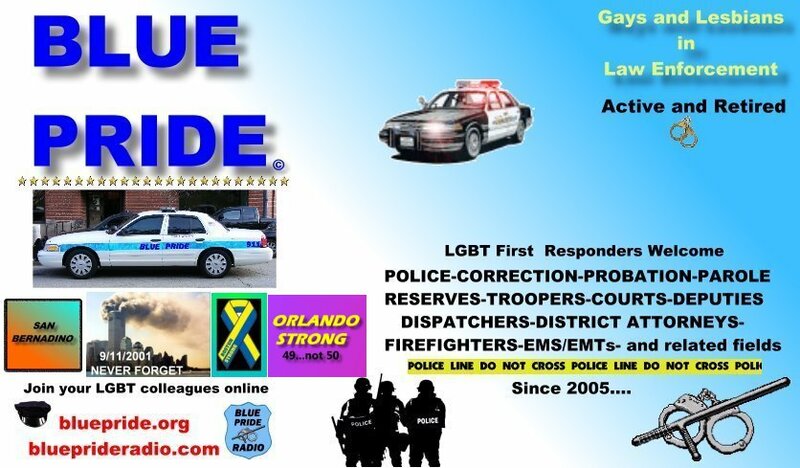 2011 has been open season on Police Officers all over the country. St. Petersburg is still reeling from the murders of PO Baitinger and PO Yaslowitz and now they have to deal with the murder of PO Crawford, a seasoned veteran who has made the ultimate sacrifice. I hope if and when the murderer is apprehended that he meets the same end as these three Officers but in a more electric fashion. I'm tired of seeing the grammar school graduation pictures of cop killers in the newspapers. These cop killers should never have been allowed to be born. I better stop now because the anger I feel right now might cause me to say something that is better off not being typed here, now. I know that our Blue Pride family feels the loss just as all Police Officers do, all across the country. One death is too many. Last night on the news, they said that they arrested the person who killed the St Petersburg cop. Would you believe he is only sixteen years old !!! They said he has a rap sheet and that he was crying when he was arrested. His parents were with him. I'm so mad I could scream. The recent rash of LODs certainly catches one's attention. As I writing this message, I am watching a commercial for a video game called "Killzone", of course it's rated "M" for mature which gives me such relief that this purely degenerated source of life devaluation will not ever reach the hands of a child, teenager, or a person already suffering from mental illness or just a bad sort. The thin blue line seems to be so ever present for us. Society and values are once again changing, with every new generation of young minds that have access to more, bigger, quicker, instant, the Live and Let Die life philosophy. Government as an institution is taking a beating, public employees are being devalued to almost loafer status, we , as Law Enforcement represent the very source of alot people's discontent. Is it a wonder, we will suffer the hardest and first? I recently bought a new Class A shirt and I couldn't help to think why I would wear it. It's sickening. I have only eight guys on my PD plus me (an .25 EFT equivalent). As you can imagine, we laugh, tease the hell of out of each other, respect, gripe about each other, help, advise, support, ... we do it all together. There's not a shift of mine that goes by that we don't talk about our lives, our families, our dreams. My Sgt. is so amazed that he knows someone who actually saw Elvis in concert but for the life of me, could not realized who in the world the Carpenters were, another concert of my youth, that may be a good thing...grin. Yet, when we get the call, it's game face, game day, and it's all too real. It's eating dinner to eating adrenaline. We are there for each other and by the Grace of God, training, and good old fashion guts, smarts, and courage, we've all been going home at the end of the shift. When living my other life, which can demand a good amount of my waking hours, I now constantly think of each one of them, pray for them, think good thoughts about them. I talk about them to the people in my other life, constantly. Don't let up on your training, read, stay alert, know what's going on in your patrol area. My guys, they're amazing, granted, our town is only 4,000 big, but they know every character, scumbag, meth addict, crack head, and general PoS plus the cars they drive, and no matter how often, they know where they're living and with whom in that 4 square mile town. I go in and they fill me in on the soap opera lives that been going on since I was last on duty. God Bless the families of those brave Officers, our Brothers and Sisters. I refused to say "fallen" for only in death does a soul fall. It is my belief in our faith (as it is in your life), in my faith does death fail and the soul is raised to continue, to some, heaven, to others, the next realm of existence. Death never wins where love and faith exist. Via Con Dios, Mi Hermanos y Hermanas. I thank you for this well thought out, well stated posting. Truthful and straight from the heart. It is appreciated. The New York area is reeling after an unspeakable line-of-duty murder of a Nassau County Police Officer. This murder comes one day after the Officer attended the funeral of a fellow Nassau County Officer who was also killed in the line of duty less than a week before. The murder was the result of a car stop in which the perpetrator exited his car and shot the cop in the chest. He escaped, then carjacked another car after executing the innocent man who had been driving it. Luckily, hours later the perp, after shooting himself, was captured. But not before he destroyed three families. The Police Officer's family, the carjacking victim's family and the Police Officer's Departmental family. I'm posting this here because, in addition to the outrage I feel over this, it happened approximately 5 miles from where I live. When I initially heard about this, I immediately turned on my scanner. Yes, I sometimes listen to my scanner which I've had for many years. Not because I'm a buff but because I want to know what's going on around me. So I spent a few hours monitoring the ongoing situation on a few different frequencies in my area and I was also able to monitor some of the Nassau County P.D. frequencies. The search for the perp was very extensive and it would be totally feasible that he would end up in my neighborhood. So I wanted to be aware of what was going on. As it turned out, when he was captured he was taken to a hospital pretty close to my house and I heard the sirens as he was being transported there. Things got that close to me. I'll be at the funeral later this week because....well I just have to. Read the accompanying article for better details than I can give here. I don't know why Police Officer Lopez wasn't wearing his vest and I'm not going to second guess him. But.....if you're on duty and out in public, wear your vest. RIP Police Officer Lopez and Mr. Facey. *****An addendum*****: Just happened. On the news, it was reported that the perp was released from the hospital and being transported back to Nassau County. Just by chance, I noticed that one of the escorting Officers is an old friend of some of us here. A member of GOAL NY before it went down the toilet. I know some of you know Police Officer Lisa C. (I won't put her full name here because I'm not sure she'd like that right now. But some of you will recognize who I'm talking about.) I'm hearing the sirens as I type this. I hope they take the most uncomfortable route back to Long Island.